Diabetes is a chronic biochemical disorder which affects the body's ability to use carbohydrates, sugars and starches. People with diabetes are not able to produce sufficient insulin or are unable to use the insulin they produce effectively enough to break down glucose or sugar in the blood and make it available to the body. More than 16 million Americans alone suffer from diabetes. Diabetes is often referred to as an epidemic in the Western World today. There are two main types of Diabetes, referred to as Type 1 and Type 2 Diabetes. Type 1 Diabetes usually surfaces in childhood and is usually associated with the inability of the pancreas to produce insulin. People with Type 1 Diabetes are also called Insulin-Dependent because they have to take insulin for life. Type 11 Diabetes is also called Adult Onset Diabetes and usually occurs after the age of 40. People with Type 11 Diabetes do produce insulin in the pancreas, but their body cells have become resistant to it. Although people with controlled diabetes can lead a normal healthy life, uncontrolled diabetes means chronically elevated blood sugar levels which slowly destroy proteins in the body, causing considerable damage to tissues and organs. Complications from untreated or poorly controlled diabetes include kidney damage, heart disease, nerve damage, and even blindness. How do I know whether I have Diabetes? Diabetes must be diagnosed by a medical doctor, endocrinologist, homeopath or naturopath. However here are some of the more common symptoms. If you are at all concerned about whether you have diabetes, especially if you are overweight and have a family history of diabetes, please seek medical advice. There are no clear answers about the causes of Type 1 Diabetes in which the pancreas stops producing insulin. Some theorists believe that Type 1 Diabetes may be an auto-immune response or could be caused by a virus. Type 11 Diabetes, which begins in adulthood, is strongly linked to obesity and an unhealthy lifestyle. Both Type 1 and Type 11 Diabetes are known to have a strong genetic link. This means that if you have people in your family who have diabetes, then it is even more important to follow a healthy diet, exercise regularly and to take supplements and herbal remedies which can help to prevent diabetes. (see below for more tips on healthy lifestyles for diabetics). Can herbal remedies and dietary supplements help? There is a great deal of evidence to suggest that the use of carefully chosen herbal remedies and dietary supplements can help to both prevent diabetes and to keep it under control in those who have already developed it. Along with the correct lifestyle changes, herbal remedies and dietary supplements can reduce or eliminate the need for prescription medication and can also aid in preventing some of the tissue and organ damage associated with uncontrolled blood sugar levels. Insulate Plus is a complex herbal remedy that assists in the treatment and prevention of diabetes. Like all Native Remedies products, it is developed with care by our practicing Clinical Psychologist, is 100% natural and is manufactured according to the highest pharmaceutical standards. Individual ingredients are well-researched and have been put to the test over the years as a complement to the treatment of real people with real problems. Can I use Insulate Plus together with insulin and my prescription diabetic medication? Yes, you can – but NOT without first consulting your doctor. Insulate Plus is very effective in controlling blood sugar levels and improving the body's ability to use insulin. 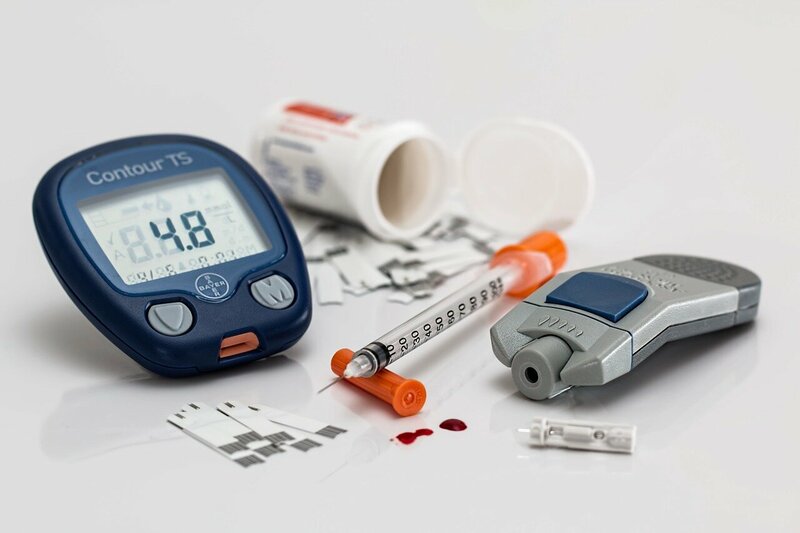 This means that blood sugar levels must be monitored in people who are also taking prescription diabetic medicine as it is highly likely that their prescription medication will have to be reduced or even stopped altogether. If your doctor is not familiar with natural remedies or is unsympathetic towards your quest for a healthier alternative, seek a second opinion. Is Insulate Plus recommended if I am pre-diabetic, at risk for diabetes or have a family history of diabetes? Absolutely! Many people with borderline diabetic symptoms or those at risk for diabetes will benefit from the regular use of these remedies. Exercise regularly. It has been shown that people who exercise regularly are 50% less likely to develop Type 11 Diabetes. Eat plenty of fresh fruit and vegetables as well as foods containing whole grains, which contain Vitamin B and chromium, both known to be important in controlling blood sugar levels. If you are overweight, lose it! Obesity is one of the major risk factors in Type 11 Diabetes. Reduce your intake of refined and processed foods containing high fat and sugar levels. Insulate Plus may also be combined with Vizu-All Plus for visual problems associated with diabetes, as well as macular disease and cataracts. Gymnema sylvestre: A well-known and highly respected Ayurvedic remedy which is also known as the ‘sugar killer' as it is said to remove the taste for sweet foods. Gymnema Sylvestre has been used in Ayurvedic medicine to treat diabetes for many centuries and can improve blood sugar control, thereby reducing the need for insulin and hypoglycemic medication . Galega officinalis: Research has suggested that the use of Galega officinalis can enlarge the Islets of Langerhans in the pancreas, which are responsible for the production on insulin. Ginkgo biloba: An extremely effective herb used in Traditional Chinese Medicine and derived from one of the oldest trees on earth. Studies indicate that Ginkgo biloba has a beneficial effect on peripheral and cerebral circulation and can therefore help to prevent the tissue damage and poor circulation associated with diabetes. It is also suggested that Ginkgo biloba can increase blood flow to the optic fibres of the eyes and therefore help to treat diabetes-related eye disease. Chromium Picolinate: This is a mineral supplement which has been clinically proven to improve the effectiveness of insulin and is the most easily absorbed form of chromium. It also helps in the breakdown of fats and can therefore balance cholesterol levels and reduce the risk of heart disease. Vizu-All comes in convenient drop form and is intended as a companion remedy for Insulate Plus to assist in the complete and natural treatment of diabetes. Vizu-All is especially formulated to prevent diabetes-related eye disease, retinopathy, macular degeneration and cataracts. It is also an excellent overall systemic tonic, relieving fatigue and increasing energy levels. Insulate Plus is a natural, safe, effective and powerful herbal formula that assists in the prevention and treatment of diabetes. Use Insulate Plus regularly to balance blood sugar levels, thereby reducing or removing the need for insulin or hypoglycemic medication; enlarge the Islets of Langerhans in the pancreas, which are responsible for insulin production; remove the taste for sweet foods; improve circulation, especially to the feet and hands, thereby preventing diabetic problems with feet and improving the healing of wounds; improve blood flow to the optic fibers, helping to prevent diabetes-related eye disease; assist with the breakdown of fats, balance cholesterol levels and help to reduce the risk of heart disease. Formulated by our team of experts in natural medicine, Insulate Plus is pharmaceutically manufactured to the highest standards. Learn more about Insulate Plus now.